Goodbye, England’s rose. 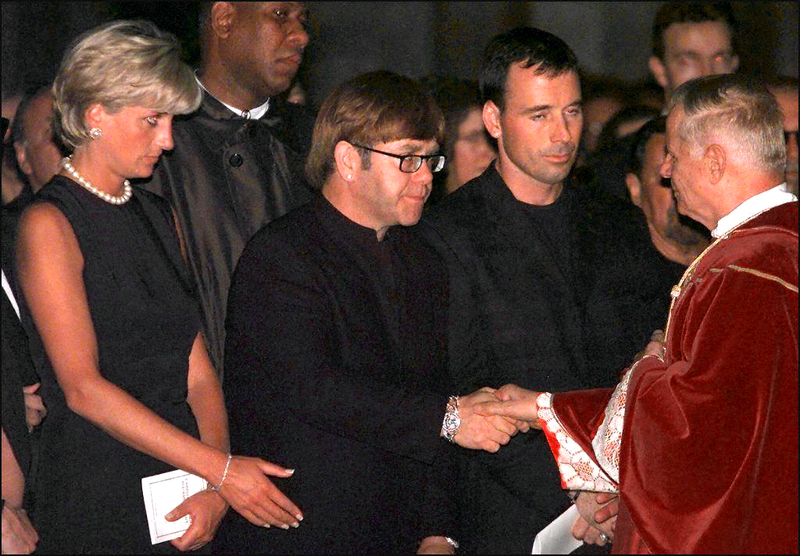 Elton John is remembering his dear friend Princess Diana 20 years after her death. The “Tiny Dancer” singer’s foundation also posted a photo on its Instagram page commemorating the princess for her efforts in the fight against AIDS. The image featured the late Princess of Wales smiling as she sat next to a man who was fighting the disease. “On the 20th anniversary of her death, Elton John AIDS Foundation acknowledges the outstanding contribution that Princess #Diana made to the fight against AIDS, helping keep men like Gerard McGrath alive,” the foundation captioned the powerful photo. “This year, Prince Harry, who carries on Diana’s work in the fight against AIDS, met Gerard with @eltonjohn when they visited London Lighthouse, the place where Diana had met Gerard 28 years ago. #Diana20” they wrote. The singer also sat down with Princess Diana’s youngest son, Prince Harry, recently for the ITV documentary Diana, Our Mother: Her Life and Legacy, created to commemorate the 20th anniversary of her passing, which aired HBO on Monday, July 24. We are honoured to be included on the shortlist for the London Lighthouse @gaytimesmag Honour, especially as Elton made such a poignant visit with Prince Harry this year, to commemorate Diana's death. Princess Diana died in a car crash in Paris on August 31, 1997. 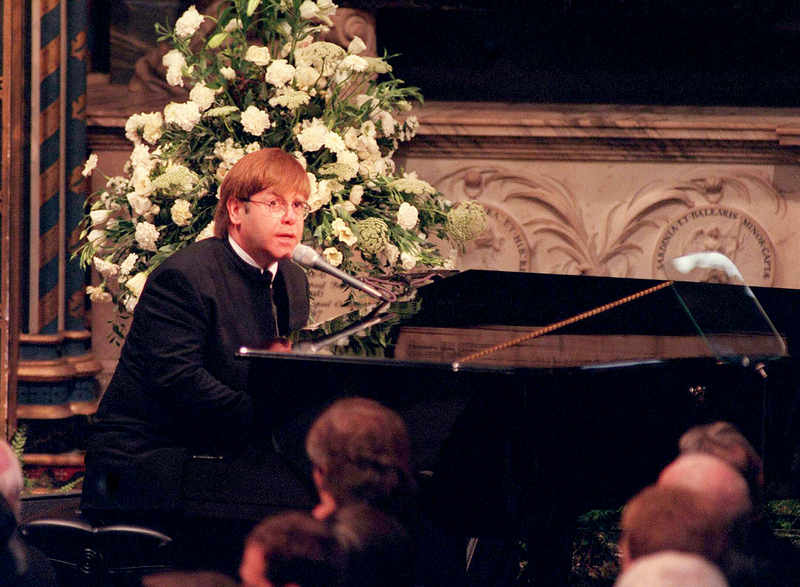 John performed his song “Candle in the Wind 1997” — a reworking of his 1973 tune “Candle in the Wind” — at her funeral on September 6, 1997. The song was re-recorded with many of the lyrics changed to honor Princess Diana’s life and death, and it was the only time he has performed it live. During an interview with VH1 in 2008, the English superstar said that singing the song at the time was “surreal” for him.